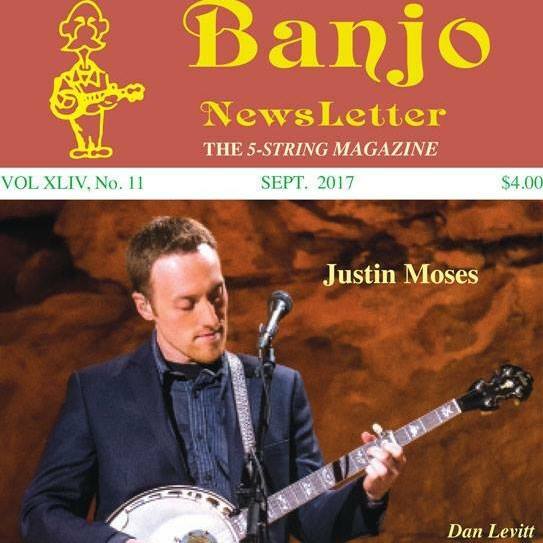 Justin was on the cover of the September 2017 issue of Banjo Newsletter. It features an interview with Justin conducted by Greg Cahill. They covered a lot of ground, including tips for younger players. The issue also includes tab of Justin's solo on a Ricky Skaggs tune, New Jerusalem. Check out this issue and others at banjonewsletter.com.